Jhonny K and his Krew have been together for 4 years collectively. They have done two studio albums with "Christmas Angels" and Award Winning album "Long Way Home"
They have performed for OGDEN Balloon Festival, UFA House Shows, Riverton Town Days, Pioneer Days, UPROAR Rock Festival, First annual SLC Comic Con, Sundance 2012 & 2013, opened for American Hitmen from Americas Got Talent, Royal Bliss, Young Dubliners, and more. 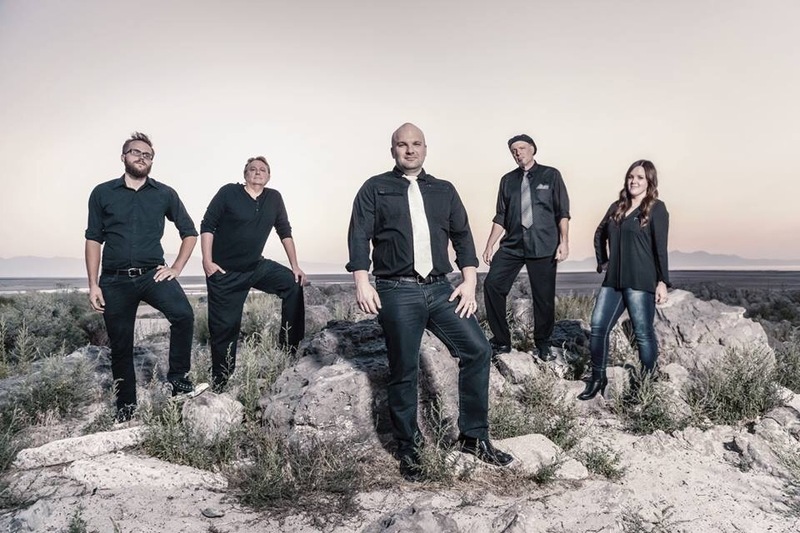 Jhonny K and Krew have won the 2014 Best Rock Album for the Utah Music Awards with "Long Way Home"
The songs "What Are You Waiting For" and "Set Me Free" were featured on FOX Sports MLB broadcast. Jhonny K is a Nashville Recording Rock Artist, classical/jazz trumpet player, vocal coach, songwriter, producer, performer, and success coach. 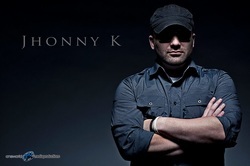 Jhonny K ventured into bands singing covers and originals.He released his first album, "Break Free" in 2007 and it went to the charts on the college circuits. He then headed to Nashville, TN to learn from the best in the business for songwriting, training his voice, music business and just to play music with the best. He spent his time playing everywhere from Wendy’s downtown to the Nashville Palace. 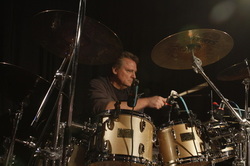 Jeff has been playing drums and percussion since he was 9 years old. 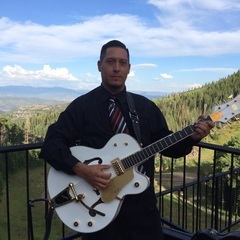 A University music scholarship allowed Jeff to play a variety of music venues, symphony, marching bands, jazz bands and secured him multiple drum students and a performance seat in the music industry, at least part time. This part time position has evolved into 35 years of recording, touring and performing in multiple bands, including The Keith Gilley Band, The Dudes, Gypsy Train, Tabu,(a Santana Tribute band), Artie Hemphill and The Iron Horse Band, players with the Steve Miller Band and many more acts. Lizz is a native of Salt Lake City and started playing the violin when she was 3 years old. She was classically trained, but enjoys playing all genres of music including Celtic, Blues, Country, Rock, and Fiddle. She has soloed across the US and Japan, and performed alongside the Utah Symphony, Lindsey Sterling, Jenny Oaks Baker, and William Joseph. She is a member of the Salt Lake Pops Orchestra and has recorded albums and music videos with a number of local artists. While her primary love is the violin, she also sings, plays the viola, cello and mandolin. Voltz, aka Lee Sebel, brings a wealth of experience to his role as Keyboardist for Jhonny K & The Krew. After 10 years of classical piano study, he became involved with synthesizers thanks to a high school friend, and went on to receive formal electronic music training in conjunction with a special project during his senior year. 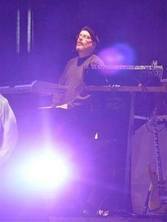 He would go on to work as the electronic keyboard expert for a Top Ten retail music store in his home state of Texas. From there he proceeded to work with some of the biggest brands in the business, including ARP, Moog and Kurzweil. As a product specialist for Roland he created the factory sound set for their Juno 60, one of the best-selling synthesizers in industry history. In addition to crafting his own electronic sounds and compositions, he's provided sound and system programming to a variety of renowned artists including Keith Emerson, Jonathan Cain (Journey), Vince Clarke (Depeche Mode, Erasure), Doane Perry (Jethro Tull) and John Novello (Niacin). 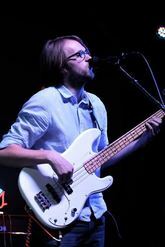 Jake Bills is an electric and upright bassist working in Salt Lake City, Utah, well known for his fluency in a multitude of styles including pop, jazz, R&B, classical, and rock. Graduated from University of Utah with a Bachelor in Music, emphasis in Jazz Performance in May of 2015. Jake's experience with music started much earlier than his time at University of Utah. He began learning bass at age 10 and joined his first band at 12. He was a student of School of Rock Utah. During that time he was selected twice to play on the All Star team audition only group. He is now a faculty member at the school, maintaining a bass studio for students and directing one of the school's performing groups.